WPW041795 WALES (1933). View of a residential area of Cardiff, oblique aerial view. 5"x4" black and white glass plate negative. 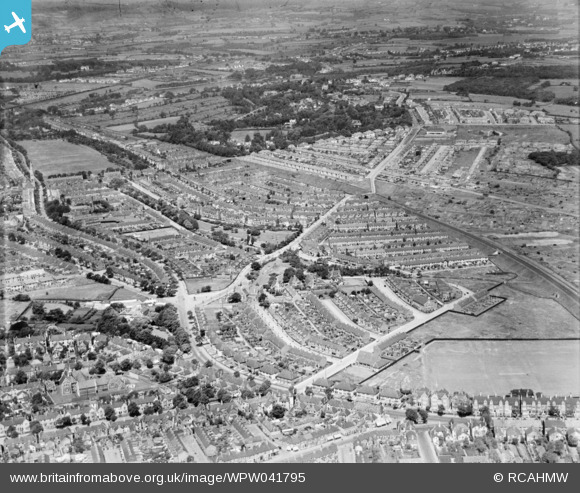 Title [WPW041795] View of a residential area of Cardiff, oblique aerial view. 5"x4" black and white glass plate negative. Roath Branch, goods-only railway enabling traffic from the Valleys to the Docks to bypass the central area. Bridge linking upper and lower parts of Waterloo Road. This bridge presumably pre-dated the development of the area and was by-passed by a new direct structure. The original bridge survived at least into the 1970s, although serving no obvious purpose.